It has been a joy to share poems with everybody each week and to have discussions about them. The Virtual Poetry Circle has been a staple here on the blog for many years, but I’ve been looking for ways to change it and incorporate greater audience participation. To that end, I’m no longer going to showcase work found across the web from published poets. Instead, I want to put out a call to readers and their friends who write their own poems. I would love for anyone interested to submit a poem about resistance (broad term and doesn’t have to be about the current administration, etc.) for posting on Saturday, Feb. 4. 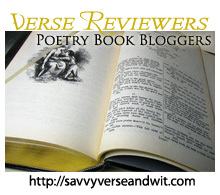 Send 1 poem per person to savvyverseandwit AT gmail [dot] com by Wednesday, Feb. 1. Include a short 50 word bio with any social media links you want included. I will choose one poem to feature. Happy writing. Welcome to the 390th Virtual Poetry Circle! a cigarette second guessed from car to brush. to cracking asunder the first puff of wind. and found weeks after: the ribbon, the box. Welcome to the 389th Virtual Poetry Circle! Welcome to the 388th Virtual Poetry Circle! Welcome to the 387th Virtual Poetry Circle! Welcome to the 386th Virtual Poetry Circle! pulled into the station the same instant as the train. hard-edged as a scalpel probing an open wound. of windows as it swerves through the city. above the rubble, coffee and tea are served. and did you hear what happened to Mrs. So and So? about the wild man John and his crucified cousin. Except they were birds in the painting, not rats. they’ll scale the golden walls and storm the high ground. Nothing moving on the platform, nothing for miles. and looks into the broken window and smells the smells. from the fire that scorched the burned out bush. and branch out window frames toward the sun. wear ruts in the floor of the wrecked house. Welcome to the 385th Virtual Poetry Circle! What do you think? What are you thankful for this year? Welcome to the 384th Virtual Poetry Circle! Welcome to the 383rd Virtual Poetry Circle! I watch the woods for deer, as if I’m armed.